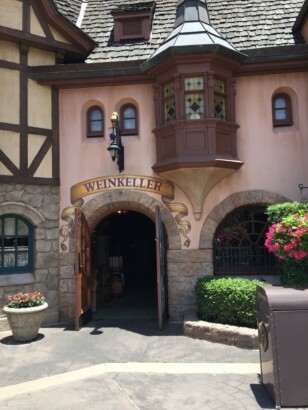 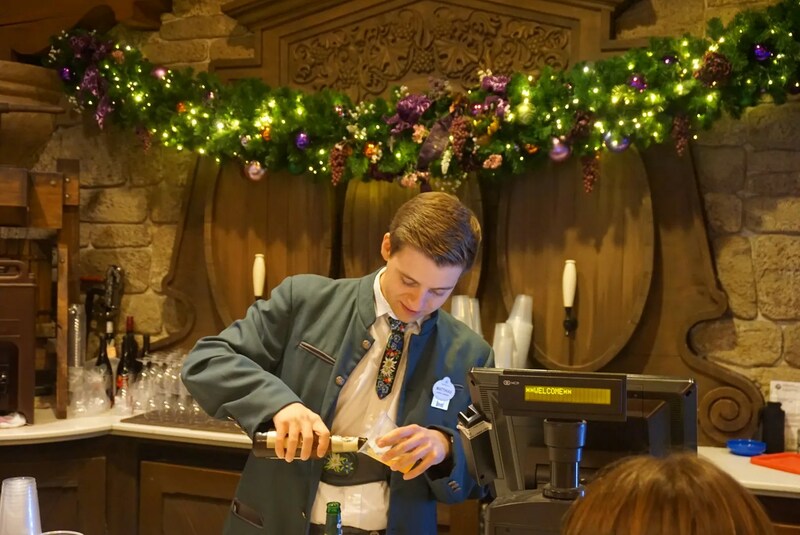 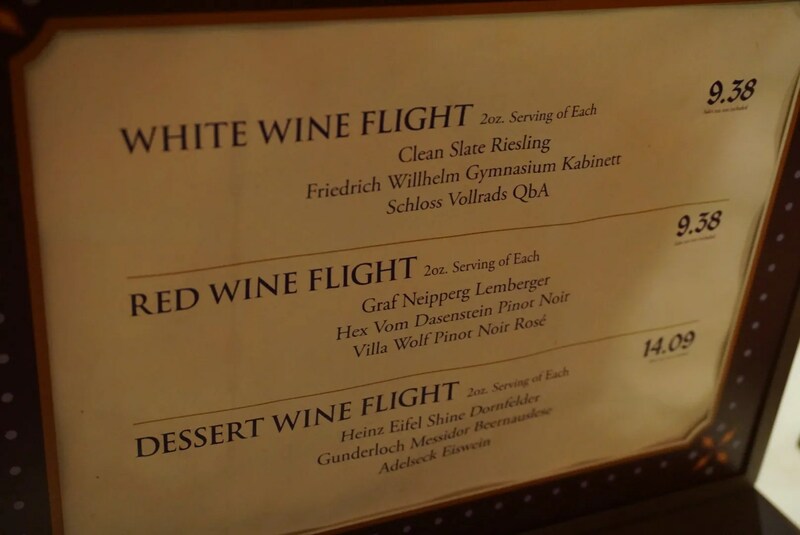 The next stop in our day of “Eating & Drinking Around Epcot’s World Showcase” was at Germany’s wine cellar. 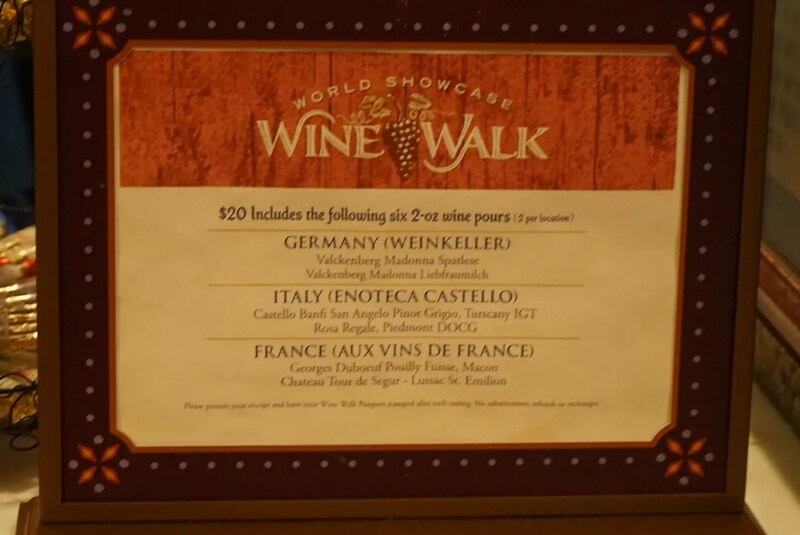 The Wine Walk looked interesting and a pretty good deal at 6 wines for $20, but not wanting to backtrack to France, we passed. 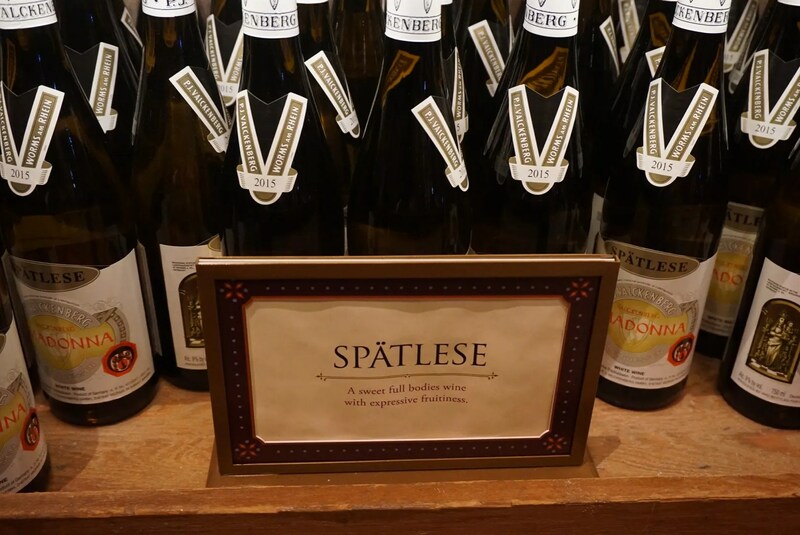 We paired our glasses of Valckenberg Madonna Spatlese with a cheese plate. 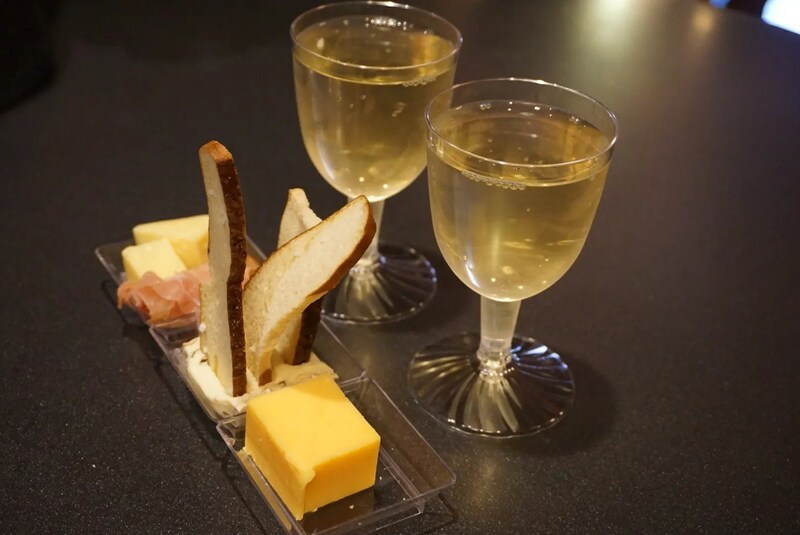 We were not given anything to identify the three German cheeses but I believe they were Muenster, Cambozola, and Cheddar, served with some smoked Alpine Ham and three toasted baguette slices. 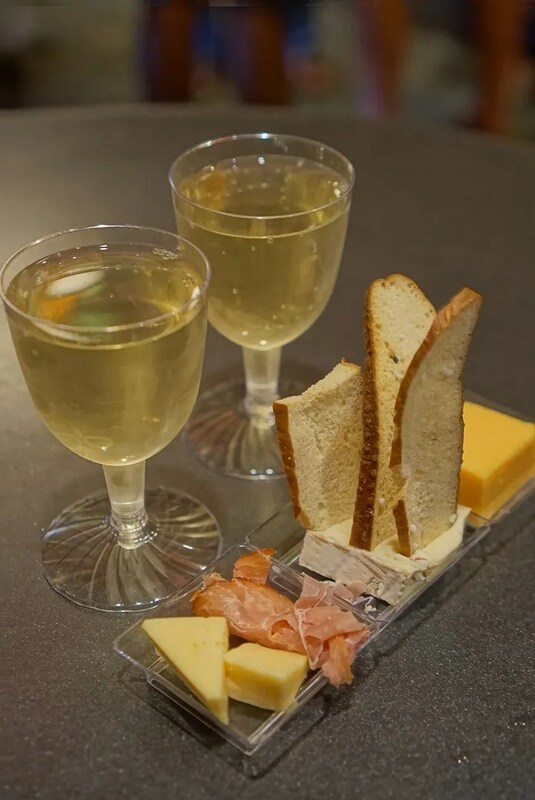 For $4.69 ($5.00 with tax) this was a great deal and went very well with our wine.